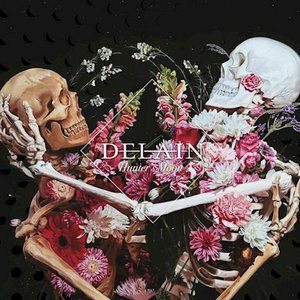 Now three years removed from their last effort Moonbathers, Delain is back to give listeners a taste of new material with the Hunter’s Moon EP. Concluding the ‘moon’ trilogy (Lunar Prelude–Moonbathers–Hunter’s Moon), the EP contains four new songs as well as a bounty of live tracks from the band’s Danse Macabre tour in Europe, which featured Nightwish’s Marco Hietala as a guest vocalist. An extensive package, the EP also comes with a Blu-Ray of said live tracks. Diving into the new material first, Hunter’s Moon is a pleasantly varied experience. Even with only four songs, they all have something unique and interesting to say. First single “Masters of Destiny” is the ‘biggest’ of the four, with a grandiose and bombastic vibe that feels almost like early Delain cranked up to 11. It’s a thrilling track that has a real cinematic quality (justly captured by its accompanying video), and sure to be electrifying in the live venue. The title track goes more in the melodic and straight-forward direction, albeit with a solid dose of heaviness with some of the riffs and screamed vocals. The chorus is easily the most addictive of the bunch. The remaining two tracks give guitarists Timo Somers and Merel Bechtold the songwriting reins, offering some fresh perspective to close things out. Somers’ “The Silence is Mine” is a more somber track, opening with almost proggy keyboard work and a clear emphasis on some gorgeous leadwork, lending itself to a more floaty feel than one might expect, but it fits in fantastically with the other songs. Lastly, Bechtold’s “Art Kills” goes in with a heavier and more electro-fueled sound. The punchy riffs are really refreshing (again with some growls), and the bouncy chorus again paints the band in a different but fascinating light. It would be great to see some of this carry over into the next album. 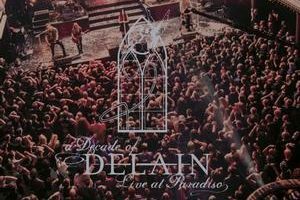 Much like Live in Paradiso, the live cuts (10 in total) have a pristine sound quality and captures the essence of the Delain live experience well. As a band that likes to add on some live tracks to releases, the recordings here are still rather impressive. There are also some different tracks represented here than the usual setlist suspects, which make it more essential for the die-hard fan (particularly the live Marco Hietala contributions). As a preview for their next full-length, Hunter’s Moon is a robust release that should easily satisfy fans and newcomers alike. The new tracks provide much to get excited over, particularly the different directions that they all take, and the live material gives an excellent reminder of where they’ve been to date.